Rob has a talent for helping his clients quickly identify their needs and desires and for translating those into the perfect home or rental property. 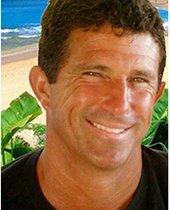 He specializes in the north shore of Kauai: land, homes, and condominiums. Rob has spent the last 21 years enjoying both property and vacation rental real estate. He finds it rewarding to help clients purchase, sell, and manage their properties, as well as to provide memorable vacations for guests at Princeville Vacations. According to Rob, there is no such thing as a typical Kauai workday, and that’s what’s great about the job. Each day brings new challenges and opportunities, and that’s the perfect environment for Rob. A perfect Kauai day for him includes meeting with clients and friends (often the same!) and outdoor hobbies. When not working, Rob enjoys surfing, big game sport fishing, diving, and spending time with friends and family.